Small ultra compact mass flow controller module with RS-232 EIA and analog 0...5 V interface, based on the proprietary Platinium MEMS technology from Axetris (MEMS: Micro Electro- Mechanical System). 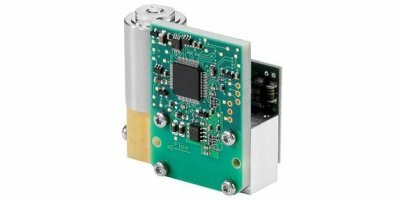 Small compact mass flow meter module with RS-232 EIA and analog 0...5 V interface, based on the proprietary Platinium MEMS technology from Axetris (MEMS:Micro Electro-Mechanical Systems). Compact mass flow meter with RS 232 EIA and analog 0...5 V based on the propertiarie Platinium MEMS technology from Axetris (MEMS: Micro Electronic Mechanical System). 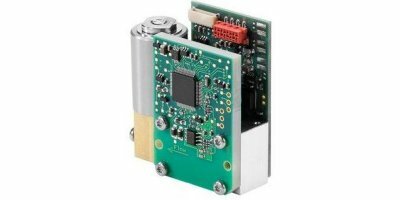 Small compact mass flow meter module with RS-232 TTL and analog 0...5 V interface, based on the proprietary Platinium MEMS technology from Axetris (MEMS: Micro Electro-Mechanical Systems). Compact mass flow controller with RS-485 EIA interface, based on the proprietary Platinium MEMS technology from Axetris (MEMS: Micro Electro-Mechanical Systems). Compact mass flow controller with RS-232 EIA and analog 0...5 V interface, based on the proprietary Platinum MEMS technology from Axetris (MEMS: Micro Electro-Mechanical Systems). 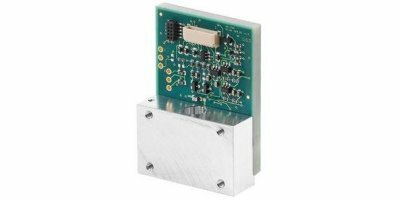 Small ultra compact mass flow controller module with RS-485 full duplex interface, based on the proprietary Platinium MEMS technology from Axetris (MEMS: Micro Electro-Mechanical Systems). This mass flow controller is designed for full scale flows up to 15,000 sccm. Main features are an unmatched dynamic range and compact size. 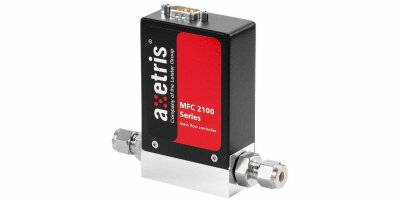 Compact mass flow meter with RS-232 EIA and analog 4...20 mA interface, based on the proprietary Platinium MEMS technology from Axetris (MEMS: Micro Electro-Mechanical Systems). Compact mass flow controller with RS-232 EIA and analog 4...20 mA interface, based on the propertiarie Platinium MEMS technology from Axetris (MEMS: Micro Electro-Mechanical Systems). 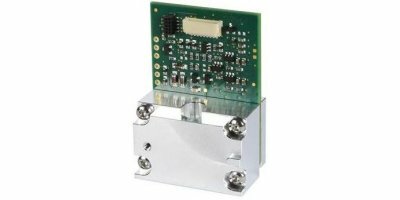 Small compact mass flow meter module with RS-485 full duplex interface, based on the propertiarie Platinium MEMS technology from Axetris (MEMS: Micro Electro Mechanical System). 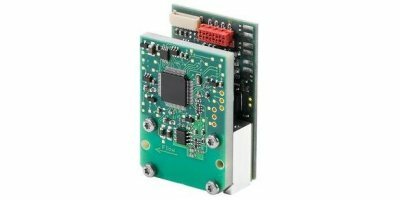 Small ultra compact mass flow controller module with RS-232 TTL and analog 0...5 V interface, based on the proprietary Platinium MEMS technology from Axetris (MEMS: Micro Electro- Mechanical System). Compact mass flow meter with RS-485 full duplex interface, based on the proprietary Platinium MEMS technology from Axetris (MEMS: Micro Electro-Mechanical Systems). This mass flow meter is designed for full scale flows up to 15,000 sccm. Main features are an unmatched dynamic range and compact size.